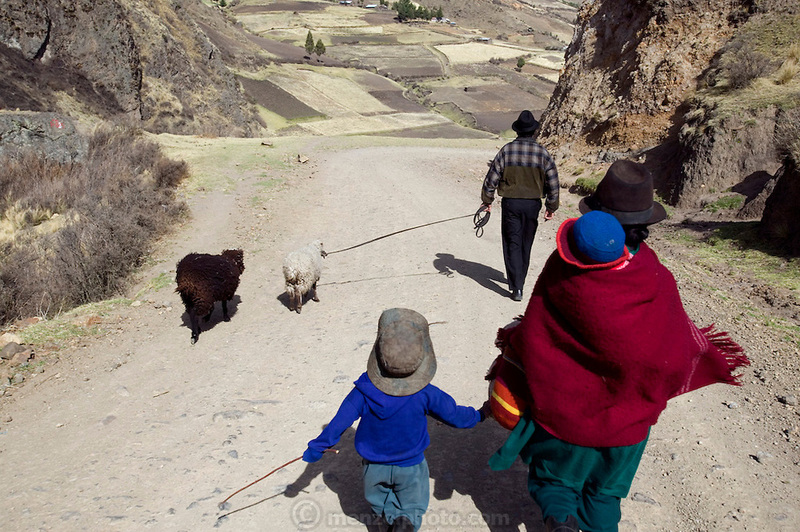 The Ayme family on their way to the weekly market in Simiatug, Ecuador. They are taking two sheep to sell so they can buy rice, potatoes and other vegetables since their own potato crop is not ready to harvest. (Supporting image from the project Hungry Planet: What the World Eats. )(MODEL RELEASED IMAGE).